Averaging Extensometer 50 mm Axial Gauge Length providing two independent axial outputs. 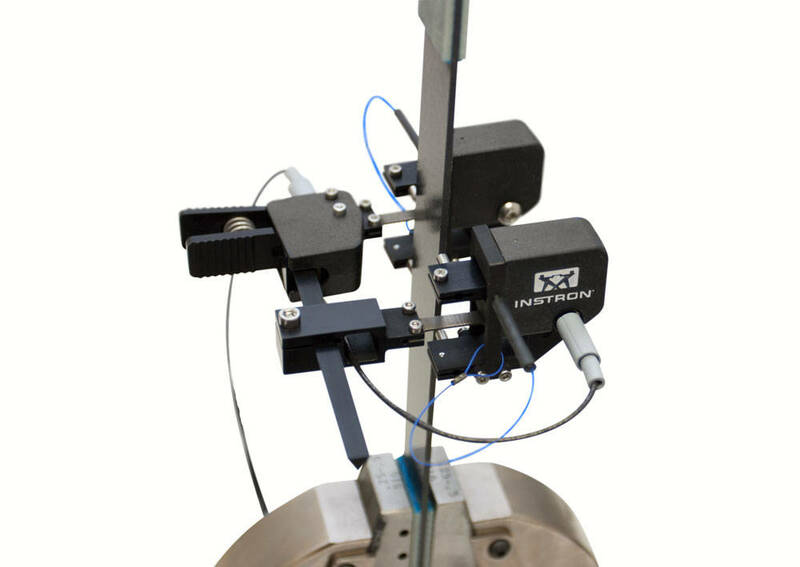 The extensometer provides two independent axial outputs. It has electrical calibration and is self-identifying with most Instron systems. These Bi-axial and Averaging Axial clip-on extensometers use strain gauges for measurement and are constructed from high-strength aluminium, titanium, and stainless steel. All of the extensometers feature simple, single- handed operation. The extensometer incorporates automatic electrical calibration and transducer recognition including a unique digital serial number.